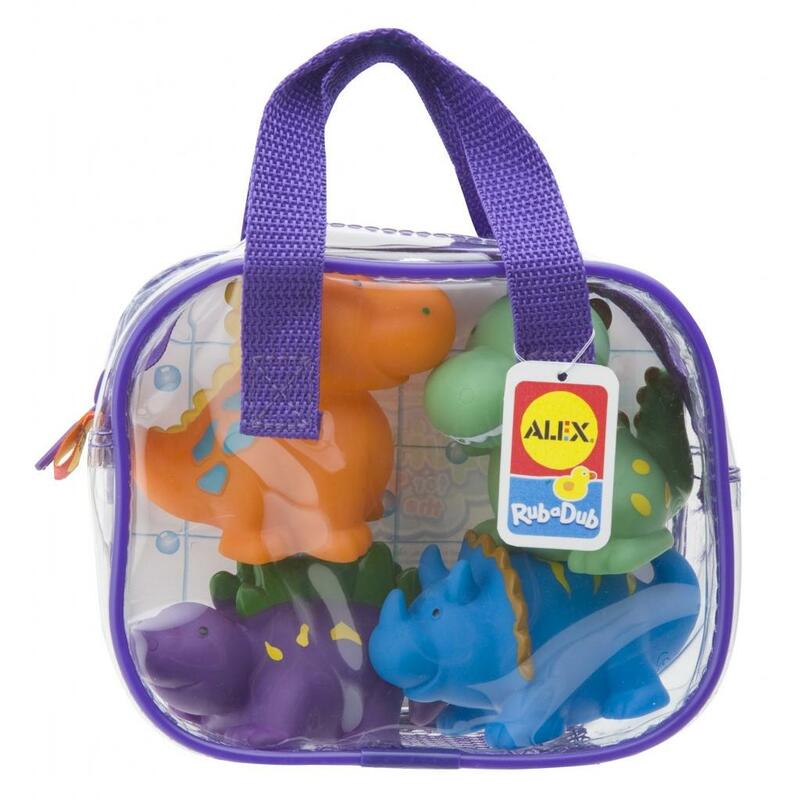 Alex Toys Bath Squirters Dinosaurs Set 4. Ready, aim, squirt! Little bath squirters sized for small hands make for a super fun time in the bath. Set of 4 soft squirters, packed in a zippered bag with handles.